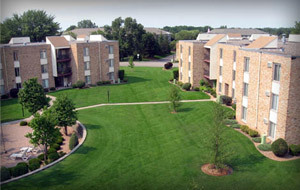 Everyday life is quite different now than when construction was completed here in 1939, but Highland Village Apartments is still today what it has always been – a close knit community of friends, family, and neighbors enjoying one of St. Paul's finest neighborhoods and highest quality rental properties. 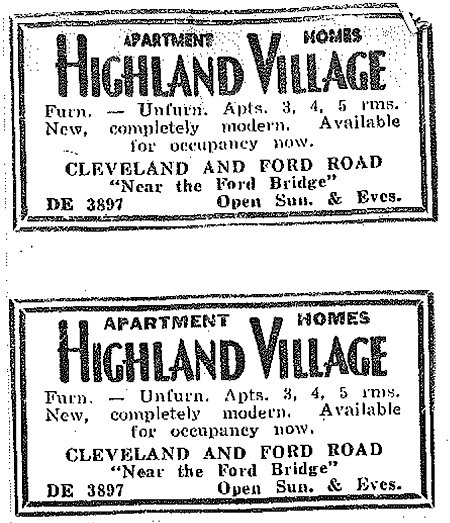 Of course, there have been some notable changes in the last seventy-plus years. Cleveland Avenue is now a paved street, to start. 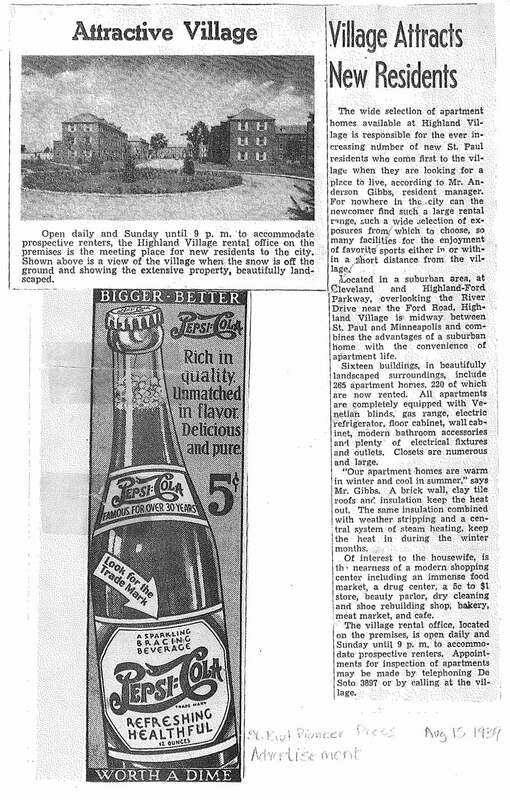 Power's Department Store has been built and demolished, as have our private tennis courts and on-site nursery school. 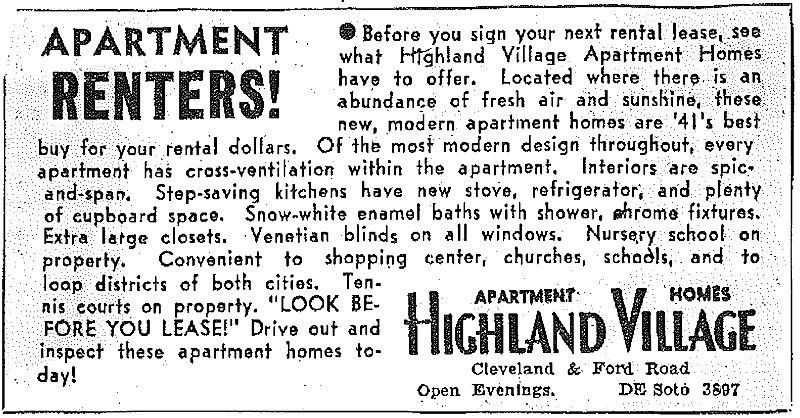 The Twin Cities have grown over the years to meet at the Mississippi River, and Highland Park can no longer be considered a "suburban" neighborhood as we so advertised in 1940. 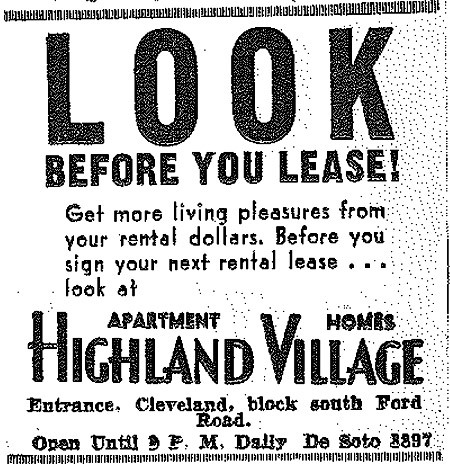 We've had to add some digits to our telephone number since the '40s (please note we can no longer be reached by dialing DeSoto 3897), not to mention some extra digits on our rental prices as well (note also that one-bedroom apartment rates, regrettably, have increased from the $50/month we offered in 1940). 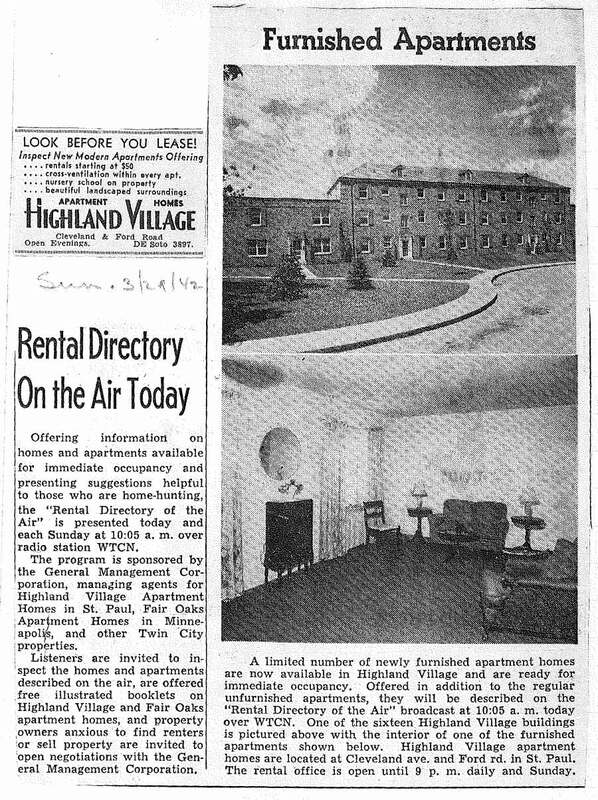 But the years have been kind to Highland Village Apartments, and if you visit us today you might not believe that St. Paulites have called these buildings home for the better part of a century. Our original Oak hardwood floors are beautifully maintained, gleaming as they did in 1939. 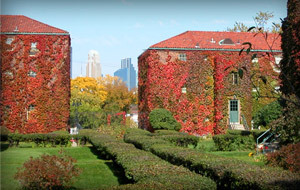 Thick green ivy still clings to the red brick buildings and filters the sunlight through French pane windows in every room. 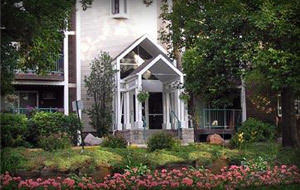 Designed by renowned architect Perry Crosier to "preserve light and air," Highland Village's unique three-story walk-up design exemplifies the ideal meeting point between charm and efficiency. 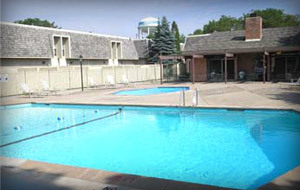 The architecture itself encourages both a sense of community and a respect for privacy seldom seen in modern design. 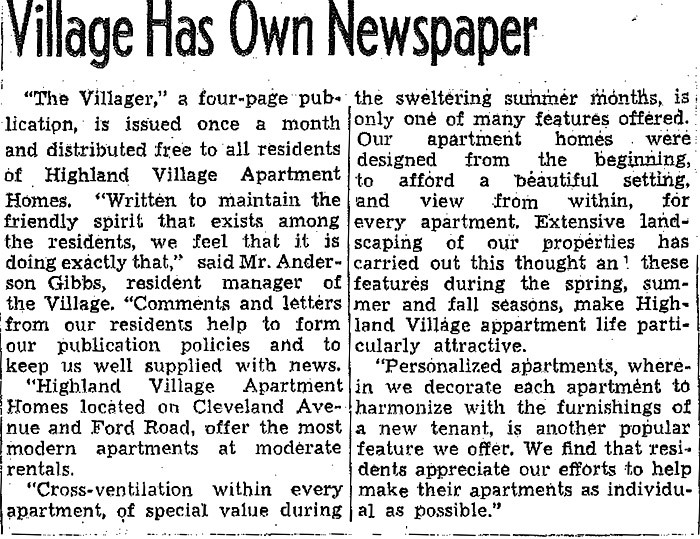 Yet, the abundance of green space and open courtyards are perhaps the most distinguishable characteristics of Highland Village, and in this way it is the absence of structure that defines our property. 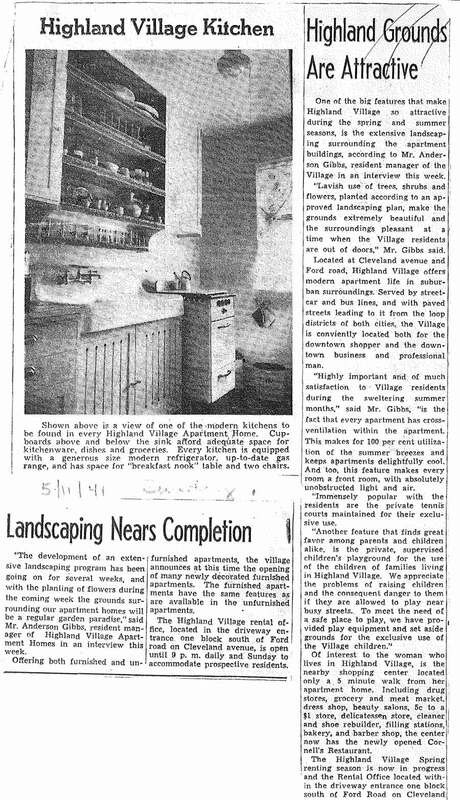 Residents are encouraged to plant flower gardens, and have plenty of lawn-space to grill-out, lay-out, throw the ball around, or just sit and enjoy the shade of an old oak tree. The truth is, they just don’t build things like they used to. 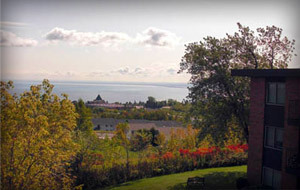 Our property represents a moment in time when quality and style were paramount to architectural design and construction. 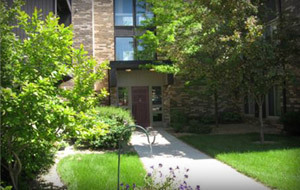 Come visit us and see for yourself why Highland Village Apartments is the most reputable and attractive place to live in the Twin Cities!